While the government’s motive in terms of electoral calculations is obvious, the entire opposition acquiesced for fear of being dubbed anti-poor. 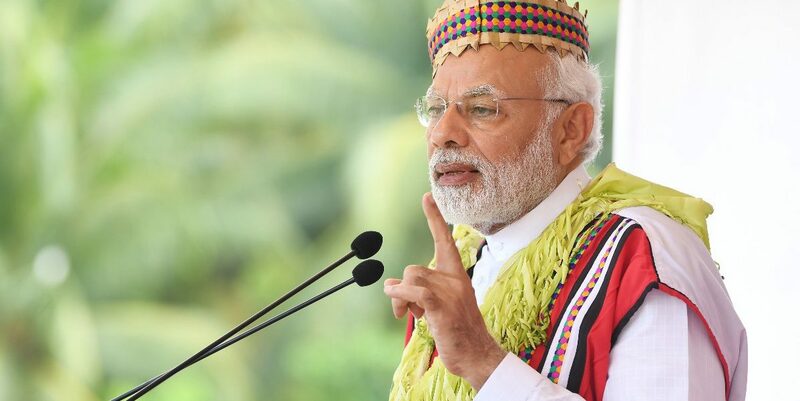 Barely two days after it sprang the Constitution (124th Amendment) Bill on an unsuspecting Indian nation, the government managed to get it passed, virtually unanimously, in both houses of parliament. Days later, it was signed into constitutional law. We now have the Union minister of human resource development announcing that “the 10% quota for forward castes”, which is how the Act is being described by the government and media alike, will be implemented in all colleges and universities in the country from the academic year beginning June 2019. Thus was carried out one of the most spectacular acts of cynical legislation this country has seen since the Emergency. While the government’s motive in terms of electoral calculations is obvious, the entire opposition which was fully aware of the mischief that was being done nonetheless acquiesced in the brazen act for fear of being dubbed anti-poor in an election season. Now those opposed to the Bharatiya Janata Party are desperately hoping that the utterly defective amendment will be struck down by the courts. The Constitution (124th Amendment) Act, 2019, deals with a classification called “economically weaker sections of citizens other than the classes” currently mentioned in Articles 15 and 16, i.e. Scheduled Castes, Scheduled Tribes and Other Backward Classes. By virtue of the Act, the state is now enabled to make any special provision for the advancement of such sections, specifically in relation to their admission to educational institutions including private educational institutions, and for reservation of appointments or posts in their favour, in addition to the existing reservation and subject to a maximum of 10% of posts in any category. Watch: Is Reservation for the Forward Castes an Election Lollipop? The phrase “economically weaker sections” is explained in the Act as those that may be notified by the state from time to time on the basis of family income and other indicators of economic disadvantage. As of now, all reservations under Articles 15 and 16, whether in employment or educational institutions, have been made for groups that are still described in the old colonial language of “classes”. That is to say, they are all collective or group entitlements that belong to entire caste groups that have been determined as socially and culturally disadvantaged because of a long history of prejudice and oppression. When new names are added to the list (or schedule) of these “classes”, as happened, for instance, with reservations for the Other Backward Classes after 1989, the usual procedure is for the government to rely on the findings of an independent committee or agency of experts which has carried out an inquiry and established the empirical facts of social and cultural disadvantage from which those groups suffer. These facts relate to the collective social condition of the group. Even if they vary in their individual circumstances, all who belong to the caste group qualify for the benefits of reservation to which the group is entitled. This has been the central rationale for reservations in India until now. The principle has been affirmed by the courts in several judgments that have disallowed reservation on other grounds such as economic disadvantage, most notably in Indra Sawhney vs Union of India (1992), in which the Supreme Court held that no classification could be made for reservations by relying exclusively on economic criteria. The present constitutional amendment is an enabling provision that gives the state the constitutional power to make reservations on grounds of economic disadvantage. This may be done in at least two ways. First, specific caste groups that are currently not included among Schedules Castes, Scheduled Tribes or Other Backward Classes may be notified as entitled to a portion of the new 10% reservation based on some criteria indicating economic disadvantage. Although discussions around the Bill have not brought up this possibility so far, there is nothing in the new Act that prevents the state from notifying, say, the Patidars or Jats or Marathas as “sections” entitled to reservation under the Act. We must remember that the political background to this legislation includes intense agitations by such groups in several states of western and northern India. However, the indicator of economic weakness must apply to the group as a whole; in other words, it would have to be some average measure of economic deprivation that must be used to characterise the entire group as economically weak. The question is: if there are large disparities of economic status within the group and no history of social prejudice or discrimination against the group, is it credible to claim that the group as a whole should be entitled to reservation? Even if the so-called “creamy layer” within the caste were to be excluded, as happens now with the Central regulations on OBC reservation, what would justify such individual forward castes to claim reservation quotas for the group as a whole? Judging from the discussions in parliament and subsequent announcements and leaks from official sources, the intended direction in which the government is expected to move, at least for now, is not as above. Rather, the entire “general” category of citizens who are not included in the “classes” currently entitled to reservation is to be regarded as a class of whom the top layer in terms of economic status is to be excluded. The remainder is to be designated as “economically weaker sections”. This is a term that is said to have been adopted from the language used in Article 46 in the Directive Principles chapter of the constitution. But where Article 46 speaks of promoting “with special care the educational and economic interest of the weaker sections of the people”, the Constitution Amendment Act turns it into “economically weaker sections of citizens”, which is not the same thing at all. Not only that, unlike the “classes” constituting Scheduled Castes, Scheduled Tribes and Other Backward Classes in which each jati is specifically named and listed, there is no way any such economically weak “section” can be named or listed by its social designation, since, unlike caste groups, there is no historically established social identity for any such economically weak “section”. Hence, the attempt to establish a parity between the grounds for reservation of socially discriminated “classes” and economically disadvantaged “sections” is misleading and disingenuous: they are two entirely different creatures. Nevertheless, those supporting the Bill, including ministers speaking in parliament, have mentioned criteria such as family income of Rs 8 lakh or land ownership above five acres as cut-off figures for excluding the wealthier among the general category of citizens. The rationale apparently is that those are the cut-offs used to identify the so-called “creamy layer” among the OBC which is, according to Central government rules, not entitled to reservation: the same measure, it is argued, should apply in the case of the General category too. But the two “classes” are not comparable. An OBC caste group is collectively entitled to reservation: those individuals among them who are affluent are then declared as excluded from the group entitlement. The general category of citizens who are not SC, ST or OBC does not constitute a class collectively entitled to reservation; hence, the identification of the “creamy layer” is meaningless. It could be argued, however, that the category “economically weaker sections” (EWS) is already well-established in law through the provisions of the Right to Education Act, 2009, which provided for 25% reservation in both government and private schools for children from poor families of the neighbourhood. But on closer analysis, it turns out that the “weaker section or disadvantaged group” in the RTE Act is quite different from “economically weaker sections” in the 124th Amendment. Clearly, “weaker section” here relates to a benefit for an individual who is deemed to be below a certain cut-off indicating poverty, with no reference at all to caste or any other social identity. Different state governments have fixed various cut-off figures for this purpose. Presumably, each state government has its own justification for its cut-off which has nothing to do with identifying the creamy layer within a group collectively entitled to reservation. Andhra Pradesh, for instance, has a cut-off family income of Rs 60,000, whereas in Delhi it is Rs 1 lakh. Nowhere is it anywhere near the Rs 8 lakh suggested for the new quotas. Curiously, subsequent discussion on the RTE has often lumped the two quite different categories of weaker section and disadvantaged group into a single compendium called EWS. The term is also used for various poverty-removal projects where the definition of EWS varies. Of course, the RTE was a piece of new legislation by parliament which did not, like the 124th amendment, seek to ride on the provisions of Articles 15 and 16 of the constitution. As a result, it could combine the two very different principles of group and individual entitlement as applicable to two different categories of beneficiaries within the same law, without necessarily inviting the charge of creating a serious jurisprudential confusion. The situation is otherwise with the 124th amendment. In the lead-up to the impending general elections, the political intention behind the amendment Act was obviously to send a signal that the BJP-led government was passing a law that would override the hurdles put up earlier by the courts and allow the creation of quotas for upper castes above and beyond the 50% limit. For this reason, it had to look like a complement to the current reservations for SC, ST and OBC groups and so had to be inserted into Articles 15 and 16. The inherent imprecision and flexibility of political rhetoric could then allow for the entitlement of certain individuals from the general category (not exclusively upper-caste Hindus) to be spoken of as a group right for the forward castes similar to those that now exist for the backward castes. Why not legislate an individual right? Why was the EWS reservation not identified as an individual right in the same way that the RTE does? A new enabling provision could have been inserted at an appropriate place in the constitution stating that economically weaker individuals among citizens who are not SC, ST or OBC may be entitled to reservation for employment and entry into educational institutions. Appropriate measures could then have been announced to determine which individuals are economically disadvantaged. Those measures need not have anything to do with identifying the “creamy layer” among caste groups collectively entitled to reservation, since the benefit was not a collective one. However, to publicly defend any such cut-off figure would have required reliable evidence on the state of poverty within the general category of citizens. Such statistical data does not exist in the public domain. A comprehensive socio-economic Census of castes was carried out a few years ago but the results have not been published, presumably because they are politically too sensitive. In its absence, an arbitrary cut-off would have aroused much controversy, since those marginally excluded would have immediately clamoured for a higher cut-off. But more importantly, announcing an individual benefit would have taken away the political possibility of touting the new law as a collective boon to the upper castes. It had to appear as some sort of just compensation for upper castes to put a balm on their persistent resentment at the granting of reservations to the OBC. Hence, the insertion of the enabling provisions in Articles 15 and 16 and speaking of the upper-caste quota as similar to the OBC quota. As a consequence, we now have the absurdity of some 85-90% of the general category making up the “economically weaker sections” entitled to reservation. In a country that continues to witness some of the most horrific examples of poverty and social discrimination in the world, the people’s representatives in parliament did not show a trace of embarrassment in endorsing income tax payers and substantial farmers as deserving of reserved quotas in employment and education. The conceptual distinction between individual and group rights is a much debated topic in liberal constitutional theory in Western democracies. It became a matter of contention in recent decades in relation to affirmative action for racial minorities in the United States, aboriginal rights in Canada, Australia and New Zealand, and multiculturalism in Europe. In India, building upon the lifelong intellectual and political struggles of B.R. Ambedkar, a fairly cohesive doctrine of collective rights of underprivileged minority groups that have been victims of social discrimination is now well established within our liberal constitution. In particular, judicial decisions have endorsed the idea that reservation in employment and education, not exceeding half of the available positions, is justified for caste groups that suffer from social disadvantage. This is an achievement of constitutional jurisprudence in India. The difficulty with the 124th amendment is that it effectively inserts the principle of individual entitlement to reservation within a constitutional provision designed to provide collective entitlement to groups. This is likely to produce much confusion, mischief and social conflict. Key here is the fact that the 50% limit on reservation imposed by the courts has now been breached by an explicit provision of the constitution. There is every possibility now of specific forward castes, such as Jats or Patidars, intensifying their claim to group reservation on economic grounds. We could also have the demand that the quota for reservation of a particular caste group should be in proportion to its actual share in the population. This would revive the demand for a new census of the socio-economic condition of all castes. Further, once the 50% limit is gone, the ground for reservation is no longer that of providing social justice to a minority group which has been historically discriminated against (which was Ambedkar’s central argument) but a measure to alleviate the economic deprivation of a majority of the population. If this argument gains currency and force, it could seriously undermine the original principle of reservation as an instrument to alleviate the collective social discrimination faced by certain caste groups. In fact, the principle of individual entitlement could then be wielded to altogether dismantle caste reservation and institute a universal rule of individual verification of economic status. Perhaps this is the reason why those who have always stood against the very principle of reservation and argued for the primacy of individual merit have not only not criticised the latest move to expand the scope of reservations but, in some cases, have even welcomed it. It is another matter, of course, that there are hardly any jobs in the government sector that may be on offer for the new quotas. That is the reason why the government is pushing for an additional quota in higher education, which is seen as a relatively costless populist project. It is said that there will be an expansion of seats to accommodate the new quotas. The resulting pressures on the education budget may well see the further curtailing of scholarships and easy loans for disadvantaged students in order to pay for additional infrastructure to accommodate the relatively privileged students from the forward castes. There was a time when our legislators engaged in serious, deeply thoughtful and well-researched argument on the nitty-gritty of lawmaking. The constituent assembly debates remain exemplary in this regard. But the houses of parliament and their committees have often done remarkable work even in more recent times. It is sad to see that in the present instance, our parliamentarians succumbed so pathetically to the imagined risk of an electoral backlash. Even against their better judgment, they have now surrendered their responsibility to the unelected men and women of the judiciary. This does not bode well for the future of representative democracy in India. 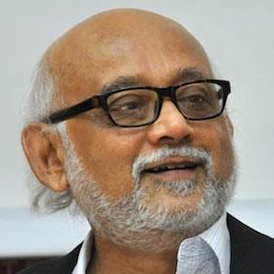 Partha Chatterjee is a political theorist who teaches in Kolkata and New York.